A partnership deed is also known as a partnership agreement, is a written legal document outlined in a detailed way the rights and responsibilities of all parties to a business firm and to avoid pointless misunderstanding and litigation among the partners in case they have any dispute. The registration of Deed of Partnership is done under the Indian Registration Act, 1908 so to have the smooth and successful running of a partnership firm and to avoid apprehension of the partnership deed being destroyed. 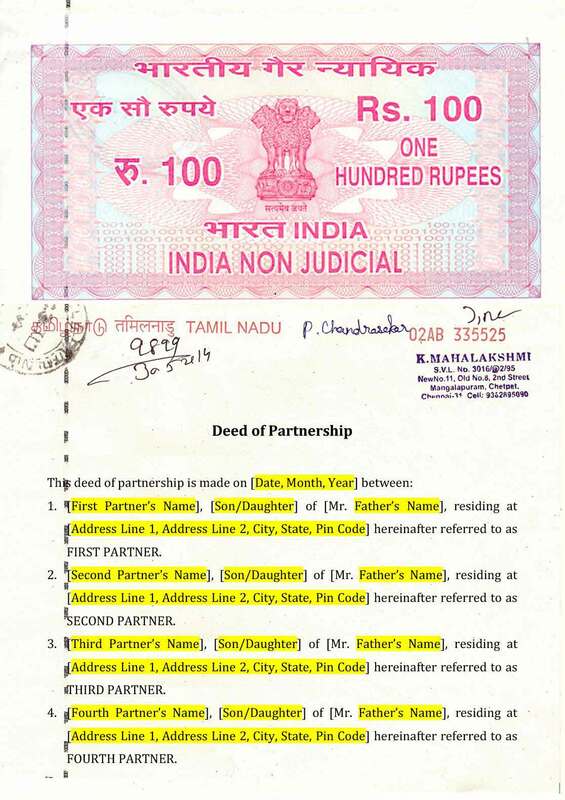 However, you can make a partnership firm without registration under the Indian Registration Act, by just having a stamped deed of Partnership. An instrument of the partnership may be constituted by more than one document, meaning a change in the agreement can be added to a partnership deed at any time with mutual consent to change the terms of a Partnership Firm. Why Create a Partnership Deed? Having a partnership deed gives a legal responsibility between partners of the firm. Partnership Agreement is used by the partners of the business firms. It also defines the profit sharing ratio, business type, name-address of the partners and of the firm made. It is strongly recommended or encouraged for a partnership agreement to avoid any misunderstanding amongst the partners because all the terms and conditions of the partnership have been laid down beforehand in the deed. It is meant to support mutual understanding and avoid mistrust. It defines all the terms and conditions on which the business organization or firm is founded. The partnership deed formed by the partners should be on stamp paper and each partner should have a copy of the deed. Also, the registered partnership deed will be helpful and will be eligible for obtaining PAN, opening a bank account in the Partnership Firm name, and applying for a bank loan, obtaining GST registration or any required license in partnership firm name, etc. 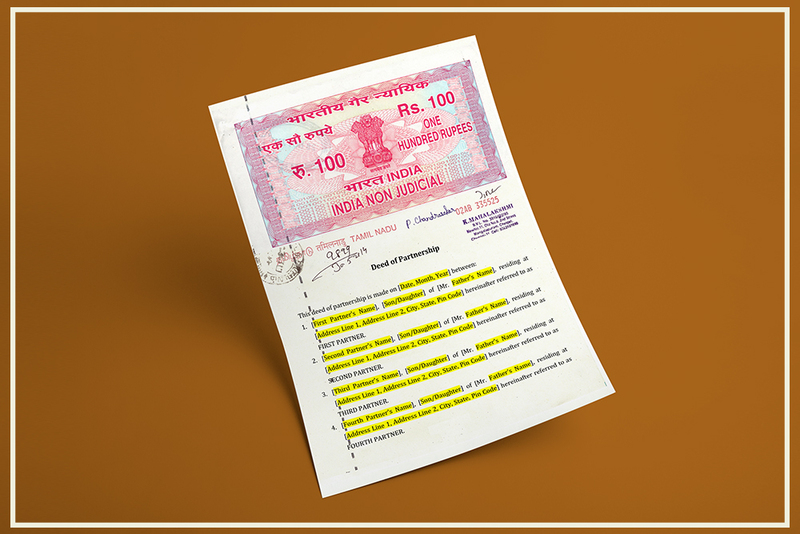 You need a Non-Judicial Stamp Paper with a value of Rs.100/- more based on the value of properties held in the partnership firm to print the Partnership agreement. The partnership agreement needs to be signed in the presence of all the partners and witnesses and each of the partners and witnesses should sign it on the original copy. The copy of the agreement is given to each partner as a record. You can also download the offer letter format in the following formats.